There are times when you get a really important message on Viber that you feel you need to print it out, just to have a physical copy of it. Whatever the reason, you can easily and very quickly print Viber messages anytime you need to if you have the right tool. The key is to export the Viber messages to HTML, thereby making it easier to just hit print and have a physical copy of the messages. In this article, we are going to show you how you can do that quickly and easily. In order to export Viber messages as a HTML file, you need to make use of a program that can allow you to do that. 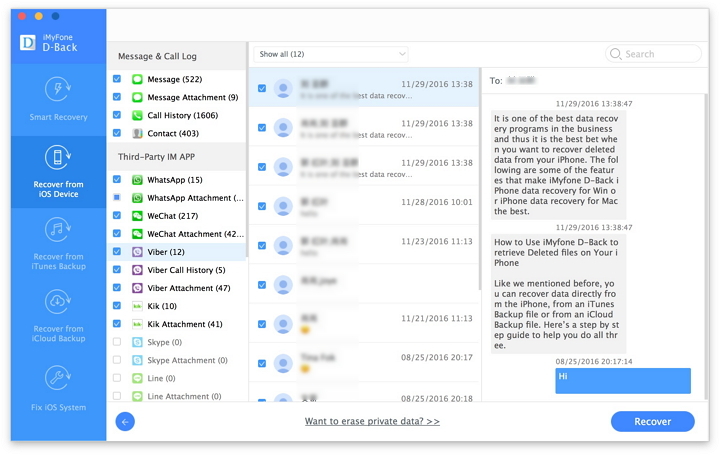 The best is iMyFone D-Back or iMyFone D-Back for Mac, a data recovery program that can also be used to extract the Viber messages you need to print. The following are some of the program’s features. 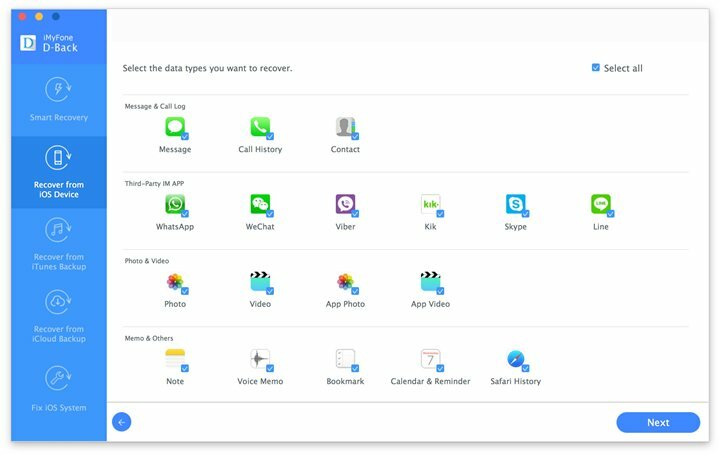 It is useful in the transfer of 22 different types of data including messages, call logs, photos, videos, WhatsApp messages, Kik messages and more. It is also a great solution when you want to extract data from an iTunes or iCloud backup. It has a preview function that makes selective data recovery very easy. It is very easy to use and compatible with nearly all iOS devices and all versions of the iOS including iOS 11. Before you begin, download and install iMyFone D-Back to your computer. Here’s how to use it to export Viber messages as HTML and then print them. Step 1: Launch our software on your computer. From the main window, select “Recover from iOS device” and then click “Start” to begin. On the next window, select “Viber” and then click “Next” to continue. Step 2: You will them be requested to connect the iPhone to the computer. Once the program detects the device, click on “Scan” to begin analyzing the files on the iPhone. 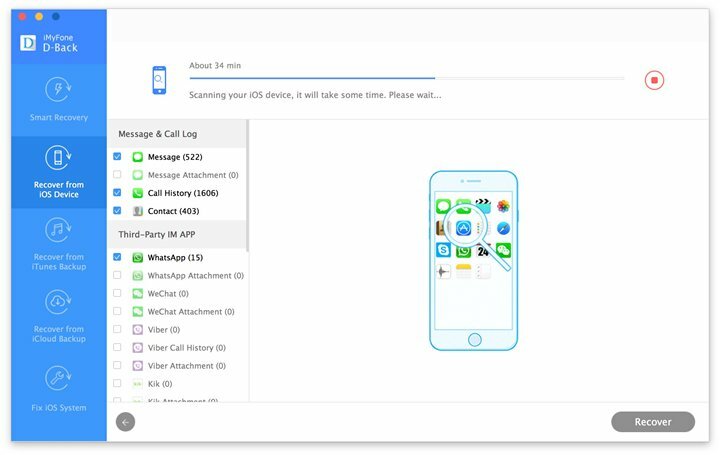 Step 3: When the scanning process is complete, select the Viber messages you want and click “Recover.” Choose a location on your computer and the selected messages will be exported to that location in HTML format. You can then simply open the file and print it at your discretion. Note: You can also use the program to print messages/iMessages, contacts, WhatsApp messages, and more on iPhone (iOS 11 supported).